First published 1984. 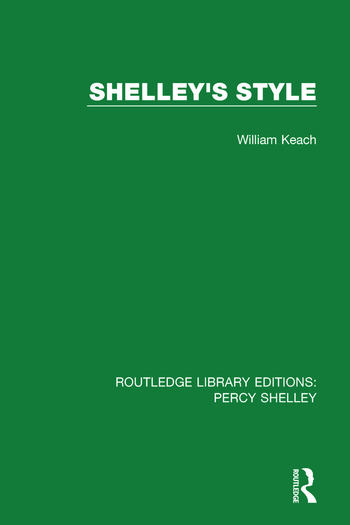 In a provocative study, this book argues that the problems posed by Shelley’s notoriously difficult style must be understood in relation to his ambivalence towards language itself as an artistic medium — the tension between the potential of language to mirror emotional experience and the recognition of it’s inevitable limitations. Through an exposition of Shelley’s idea of language, as reflected in his theoretical writings and individual poems, this book makes a strong case for his artistic worth. A definitive introduction to Shelley, useful for both scholars and newcomers, this book will be interest to students of literature.